Imagine waking up in a new destination every day, the sun flooding through your cabin window and the azure sea sparkling at you. Imagine having everything you could ever need in close proximity, from fancy restaurants and a pool enticing you to take a refreshing dip, to a casino or an ocean-view gym. And imagine getting to spend every morning enjoying a tantalising selection of activities, from outdoor sports to video games, before spending an afternoon exploring a new land. All this and more can be enjoyed on a luxury cruise. Whether you fancy exploring Alaska’s icy seas, discovering Asia’s vibrant heritage, or simply enjoying the heat of the Caribbean, the world is your oyster on a cruise holiday. Here are our top 10 worldwide cruise itineraries to choose from. The journey: This cruise is perfect for adventurous families looking for a bit of exploration and a bit of Disney sparkle. The holiday begins with seven nights in Orlando’s International Drive. 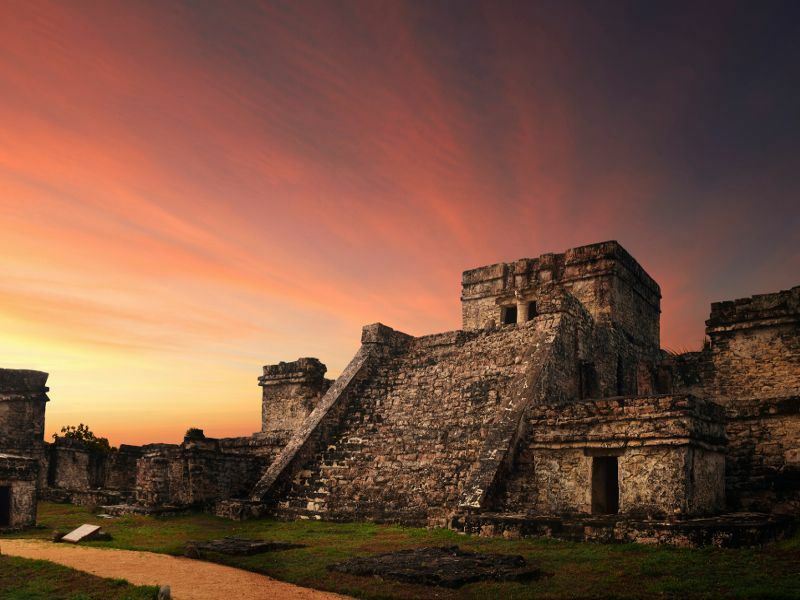 Then you’ll board the Carnival Magic for a wonderful western Caribbean cruise, sailing to the lively Costa Maya, Isla Roatan, Belize and Cozumal for afternoons spent diving in crystal clear waters and dining on Mexican fare. The ship: Carnival Magic is a haven for families, featuring its own water park and poolside theatre, as well as a plethora of child-friendly restaurants to sink your teeth in to. The kids and teens are well catered for with their fun and exciting clubs, whilst mum and dad can enjoy sunbathing on the deck or enjoying a night at the comedy club. Highlights: Having a water park on the ship is a sure-fire way of getting the kids’ approval – what could be better than splashing around and having fun whilst you sail across the sea? 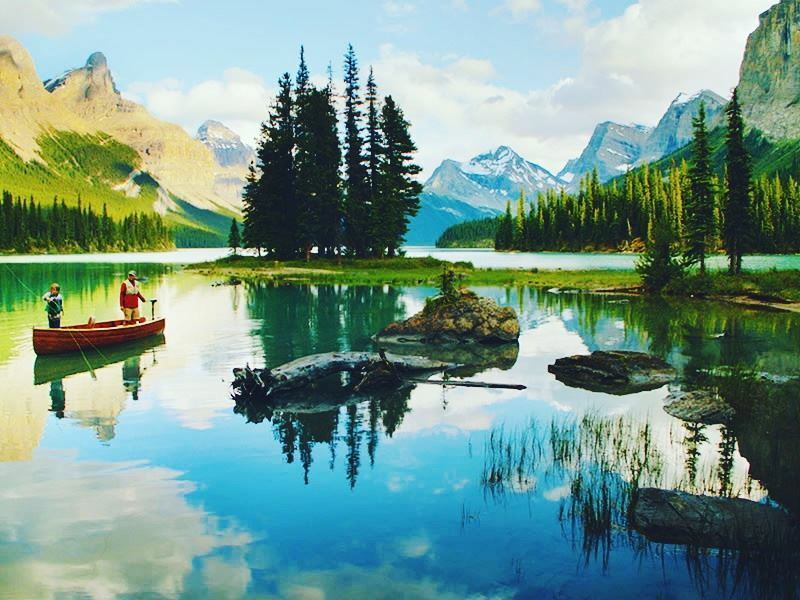 The journey: This journey offers two unique and luxurious ways to discover all Canada has to offer. The holiday starts with a few days venturing through the jaw-dropping landscapes of Banff and Jasper, before boarding the Rocky Mountaineer for an indulgent trip through the Rockies. Once in Vancouver, you’ll board the Silver Shadow for an unforgettable cruise through the Inside Passage, taking you to intriguing areas including Sitka with its Tlingit locals and totem poles, and the trendy town of Juneau. The ship: With so much to see and do during this trip, it’s only logical that your time on board the Silver Shadow is as relaxed and laidback as possible. 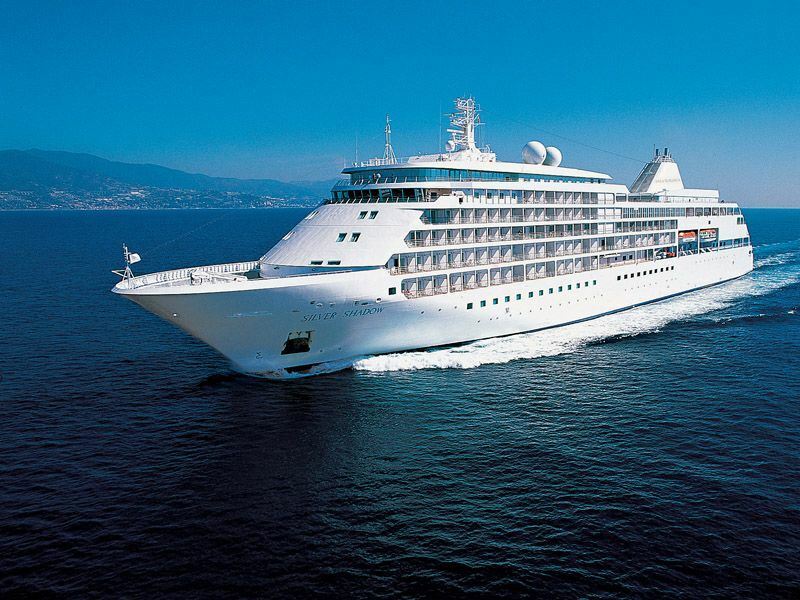 This luxury ship will make you feel at home – just with a touch of extra glamour and pizzazz. Rejuvenate with complimentary yoga and Pilates, savour fine wines at Le Champagne, and enjoy a revitalising facial in the spa. Highlights: Rocky Mountaineer, a luxury stay on Silver Shadow, views of soaring mountains, charming cities and sparkling waters…what part of this trip isn’t a highlight? The journey: Sometimes all you need is a bit of sunshine, a touch of luxury, and a big dose of Caribbean charm. This beautiful cruise hops between some of the Caribbean’s most luscious and lively islands and towns, including Grenada, Bonaire, Aruba and Curacao. If that’s not enough, you’ll enjoy three nights at the wonderful Cobblers Cove in Barbados beforehand – bliss. The ship: An All-Inclusive stay on board Silver Wind is the perfect way to truly unwind in between exploring the vibrant islands. Each cabin has picturesque views of the ocean, and the wide range of restaurants on board means you can choose between a fancy romantic meal for two, or a more laidback buffet with a refreshing drink in hand. Highlights: Easy-going yet luxurious sailing paired with verdant landscapes and bright Caribbean cultures is a match-made in heaven. 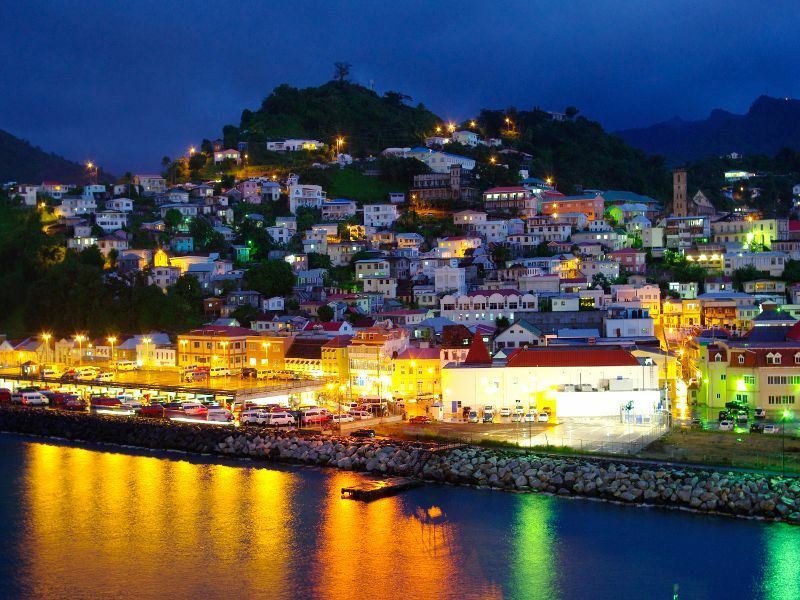 We love exploring the Caribbean’s charming port towns in the day, and resting with a cocktail at night. The journey: Beginning with three nights in Bali Island, you’ll then get to choose between two wonderful cruise itineraries – journeying either westbound or eastbound to discover Indonesia’s most picturesque areas. The eastbound journey includes the likes of Gili Kondo – a small, uninhabited island, Komodo National Park – home to incredible Komodo dragons, and the pretty pink sands of Pink Beach. Meanwhile, the westbound trip journeys to Giligenting Island – shrouded in jungle-clad mountains, Gili Sudak – home to reefs abundant in starfish, and Bromo-Tengger-Semeru National Park – full of sweeping paddy fields and rural landscapes. 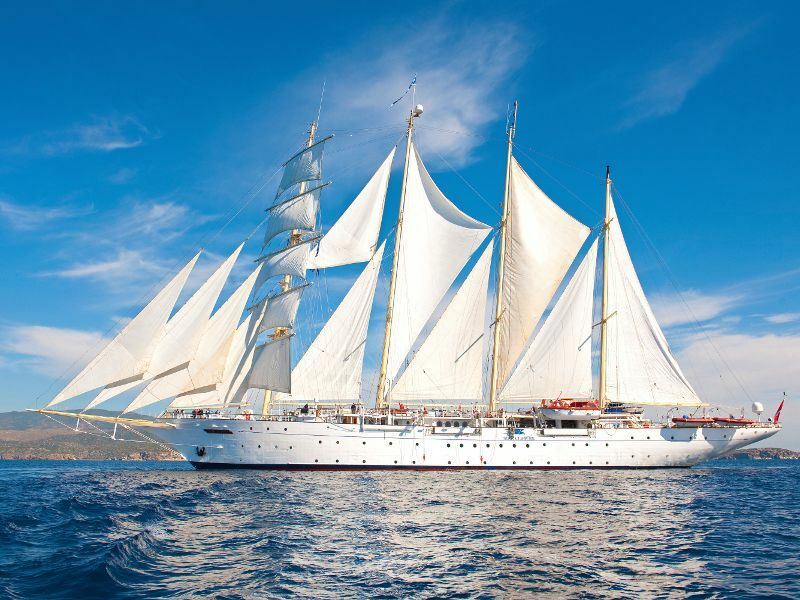 The ship: The unique Star Clipper is a traditional four-mast sailing ship, blending old-time sailing with contemporary amenities, including two fabulous pools, non-motorised water sports, and an extravagant dining room. Highlights: Indonesia’s landscapes are simply breath-taking no matter which direction you go. The eastbound itinerary’s trip to the rugged Komodo National Park is a big highlight, whilst the westbound itinerary’s stop-off at the stunning Senggigi Beach is a must see. The journey: Embark on an unforgettable adventure on this tour, rail journey and cruise all merged into one – phew. The journey begins with a five-night tour on board the fabulous Rocky Mountaineer, where you’ll explore the likes of Jasper, Lake Louise and Banff, before hopping on the MS Nieuw Amsterdam for a journey to Alaska’s incredible landscapes, including Glacier Bay, the Gastineau Channel, and the beautiful Inside Passage. The ship: The ms Nieuw Amsterdam is a gorgeous ship offering sumptuous amenities you’ll certainly want to take advantage of as you sail between destinations. The Lido pool’s stunning ocean vistas provide the ideal spot to soak up the sun, whilst foodies will love the wide range of restaurants and bars on offer, including the pan-Asian Tamarind eatery and the wine-tasting lounge. Families are well catered for too – there’ll be no bored teens thanks to the ultra-cool teens-only Loft. Highlights: Alaska’s unspoilt beauty will take your breath away. From the sounds of ice crashing into the water at Glacier Bay, to the scene of salmon bursting out from the water at Ketchikan, this cruise is full of wonderment. 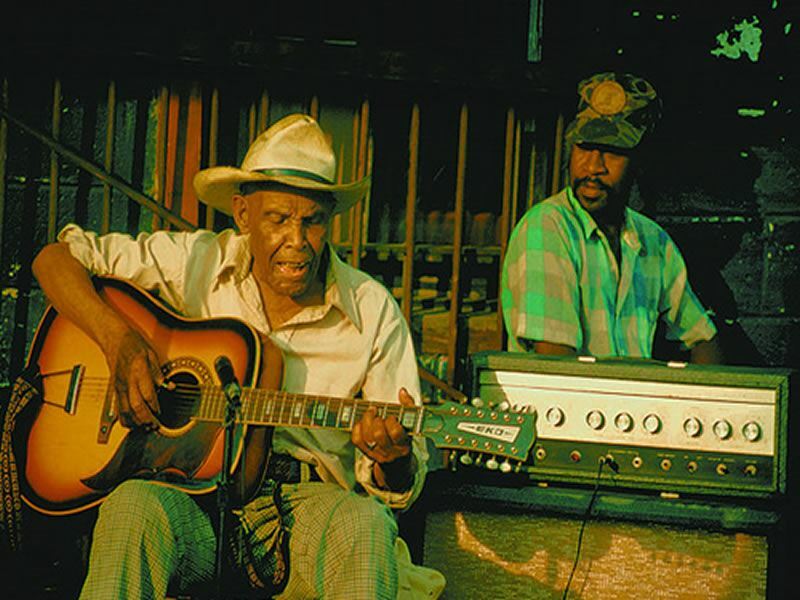 The journey: The tour starts with a cool, rock ‘n’ roll week exploring America’s best music cities – Chicago, Memphis, and New Orleans. You’ll then board the Norwegian Pearl and enjoy seven nights exploring some of the Caribbean’s most stunning small islands, including phenomenal diving sites at Cozumel, wonderful whale shark spotting at Roatan, and the charming ports of Harvest Caye and Costa Maya. The ship: With a couple of days spent out at sea, you’ll need a lot of entertainment to keep you occupied in between sunbathing and taking in the dramatic ocean views. Thankfully the Norwegian Pearl is full of glamour and entertainment, from the usual swimming pool and spa, to the unique bowling alley and casino. Highlights: There are plenty of foodie highlights on this trip. From deep dish pizzas in Chicago and meaty BBQ’s in Memphis, to Norwegian Pearl’s 16 dynamic restaurants – including Asian Fusion dishes at Lotus Garden, and American classics at O’Sheehan’s. The journey: A cruise doesn’t have to just be island-hopping. 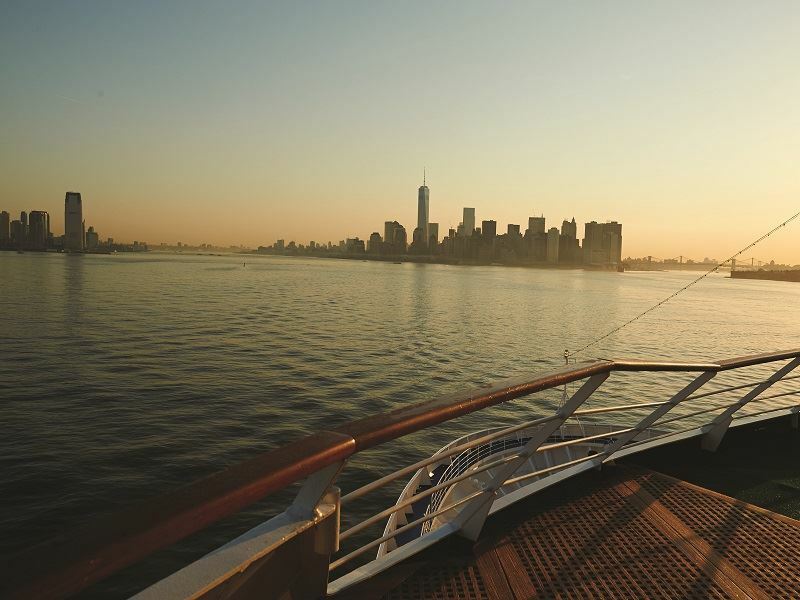 City dwellers will be pleased to know that there are plenty of fabulous cruise ships that sail between bustling cities full of charm and personality, including this exciting itinerary that takes you from Montreal to Quebec City, Nova Scotia, Boston, and ending in wonderful New York. The ship: Oozing style and glamour, this gorgeous cruise ship has all the charms of a boutique hotel, offering luxurious amenities set to pamper you as you make your way across the ocean. Indulge yourself with a trip to the spa, or browse around the luxury boutiques. Once you’ve worked up an appetite, Le Champagne offers a romantic evening of fresh, locally sourced dishes. Highlights: Silver Whisper is the ultimate indulgence, whilst trips to Old Quebec and Nova Scotia offer a fascinating insight into Canada’s rich culture. We love Old Quebec’s cobbled streets and old-worldly style. The journey: There’s two fantastic cruise itineraries to choose from here, both beginning with three nights in Phuket before embarking on an eight-night cruise. The Northern itinerary incorporates the beautiful diving site of Kin Daeng, the cascading waterfalls of Langkawi and the dramatic limestone karsts near Phang Nga Bay, whilst the Southern itinerary includes phenomenal diving at the Similan Islands, a tour of the bustling city of Georgetown, and the breath-taking beaches of Ko Butang. The ship: Inspired by the nautical heritage of old-time sailing ships, the Star Clipper mixes old traditions with modern comforts for a unique, contemporary feel. This four-mast sailing ship features all you need for a luxurious yet one-of-a-kind stay, from its two pools to the grand dining room. 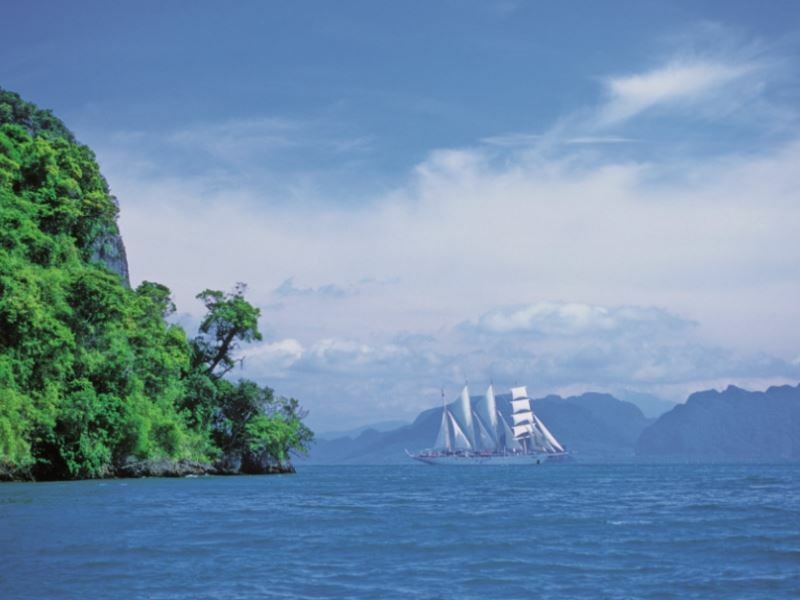 Highlights: Sailing on a four-mast ship is a unique way of exploring Thailand’s jaw-dropping islands, adding a touch of nautical charm to your trip of a lifetime. Exploring some of the country’s most astonishing diving sites is a highlight, too. The journey: Venture through Alaska’s astonishing sceneries on this unforgettable cruise, giving you the chance to not only marvel at the icy glaciers and snow-capped mountains, but also immerse yourself in the rich culture. Starting the trip off with two nights in Vancouver and two in Seattle, you’ll then sail along to three of Alaska’s most fascinating cities: Ketchikan, Juneau and Skagway, with a last pitstop in British Columbia’s Victoria and ending back in Seattle. The ship: Full of amazing activities, decadent restaurants and contemporary cabins, the Norwegian Bliss is a whole world of its own. Whether you fancy relaxing in the world-class spa in between ports, getting active with the go-karting track and water park, or enjoying a show at the theatre, this jaw-dropping ship doesn’t go by half measures. Highlights: Witnessing the sheer beauty of Alaska’s glaciers will leave you speechless, especially when sailing to Juneau. 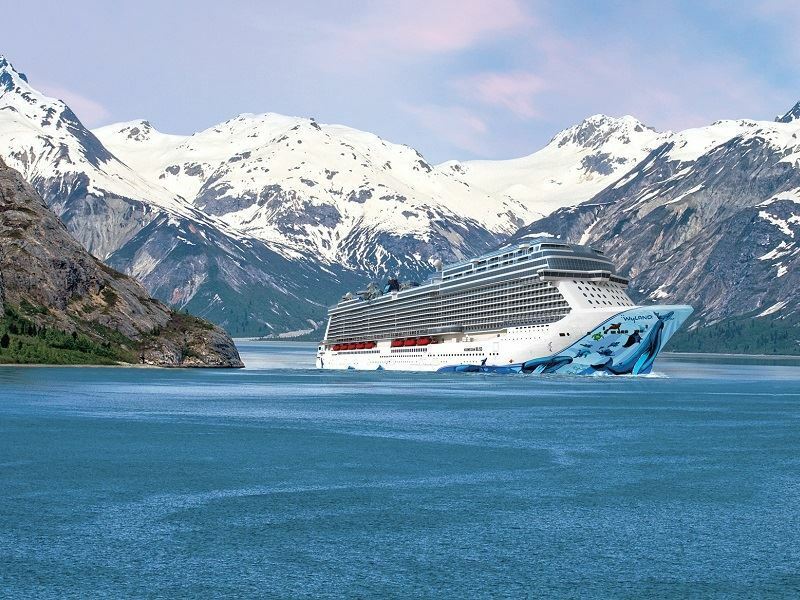 Home to Glacier Bay National Park and the Sawyer Glacier, there’s no other backdrop like this one. You’ll even have the chance to kayak in the crystal-clear waters. The journey: This luxury cruise journeys from Honolulu in Hawaii and explores all of the four main islands: Oahu, Maui, the Big Island and Kauai, taking in their wonderful scenery and rich heritage. 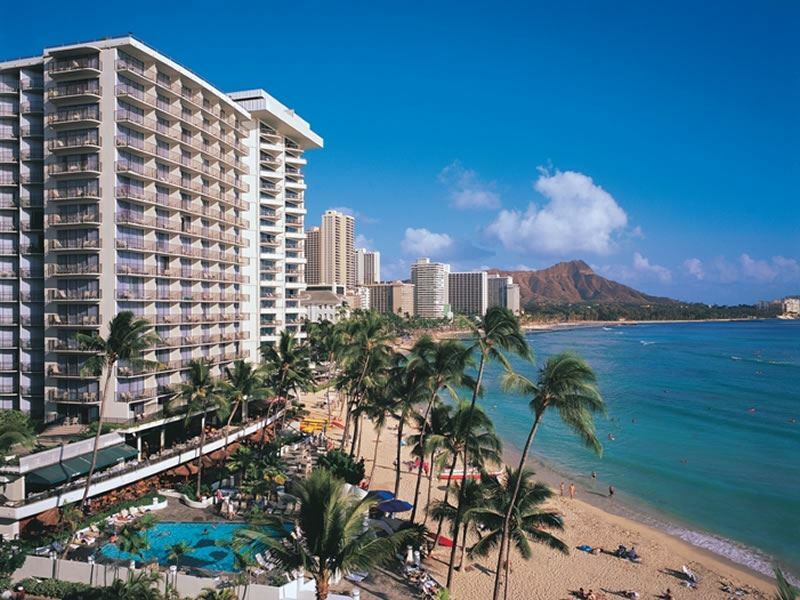 Begin with four nights on Waikiki Beach and a seven-night cruise to the islands, before hopping on a flight to San Francisco for three nights. The ship: The Pride of America cruise ship is the only ship to sail to all four main islands, and the native ambassadors on board will immerse you in the island’s colourful culture. With more than 15 restaurants and 12 bars and lounges, you’ll never go hungry, and we love the scenic balconies that offer unsurpassable views of Hawaii’s verdant landscapes. Hot tubs, a Hollywood Theatre and a video arcade will keep you entertained. Highlights: Simply being able to see Hawaii’s luscious sceneries from a new angle is enough to make this cruise a worthy top 10. This is perhaps the most easy-going way to hop between the main islands too, leaving your trip worry-free.